We spent two very busy days working with Art Solutions http://www.artsolutions.org.uk/ to create an amazing Fantasy Themed display. Each class worked on a different area of the display. Glue, newspaper and a lot of hard work and fun was transformed into this amazing display. The children in Renoir class worked in groups to produce an interactive display for the class Mayan museum. Parents and carers where invited to come in an learn about the Mayans and have a go at some of the activities that were on offer at the museum. They could even taste some Mayan hot chocolate. Before the museum closed, children from other classes took turns to investigate the museum. 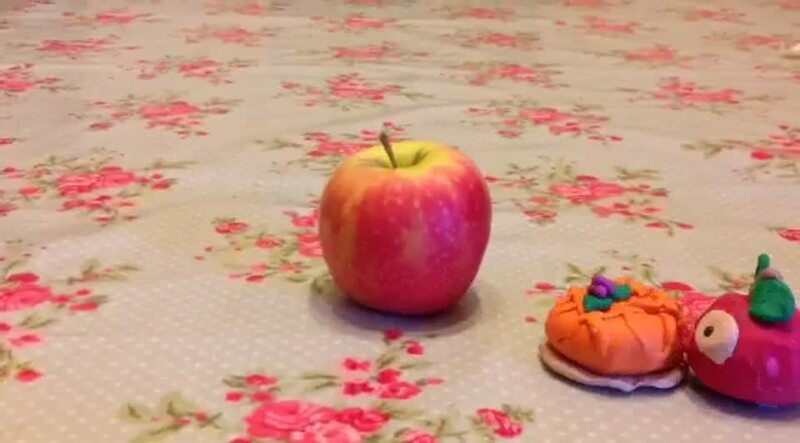 In class Beth (Y4) has been learning how to use stop motion photography to create an animation. Beth went home and completed some projects on her own. Here are her animations. It is great to see how Beth has made small changes between frames to give a smooth animation. Well done Beth. Cezanne Class, Year 4, have been learning about animation. 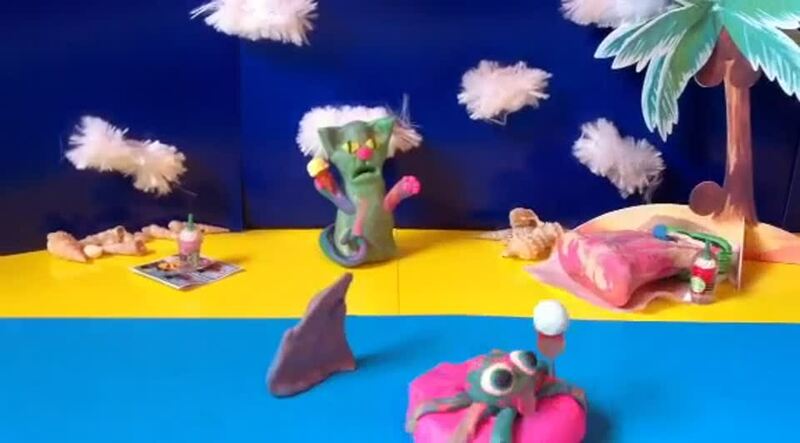 They have used Pivot Animator to create some simple animations. They had to think about making lots of small movements between frames to create a fluid animation. The learned that they could see character on the frame before as a faded version of the character, called an 'onion skin' they could use the onion skin as a reference for making the next tiny movement. The children in Matisse Class (Year 2) have been looking at survival skills and different habitats in class. Mr Cook came into school to talk about survival skills and demonstrated some of his equipment. The children learnt what you would take in a ruck sack if you were wild camping, how to light a fire and which creepy crawlies Mr Cook has eaten! The children in Van Gogh Class (Yr3) have been learning about the Romans and the Celts. They have made their own shield and reenacted an epic battle on the playground. The children in Cezanne Class (Yr4) have been learning about databases. They have used the program '2 investigate' to create a class database about Roald Dahl Characters. They first chose the fields they wanted to create and then created a record for each character. The database below is fully working. Use the search button (icon with the magnifying glass) to frame a search to answer the question. "How many male characters are there?" The children have moved on to questions that have two or more criteria. For example, "How many female characters are there in the book Matilda"
Matisse class have prepared a shopping list and have been to visit the Violet's dad at the Vegetable Van in the Square. The children took turns to buy the fruit and vegetables on their lists, pay for them and they worked out the change they needed. It was a great way to put in practice the maths they have been learning in the classroom. (Working out change by counting on and counting back). Children in KS2 have had the opportunity to go to a six week Technology Club, hosted by Thurstable School. 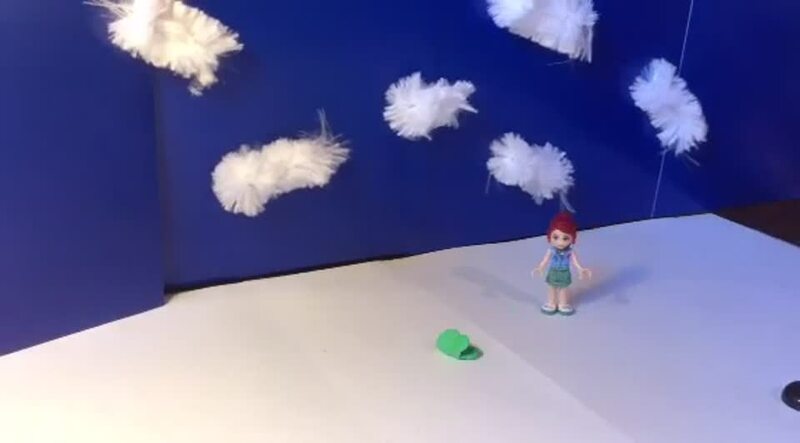 This week they have created some images using the Green Screen. Click on each of the images below to see full size. Children in Renoir Class have been working very hard with Mr Daw in their computing lesson, they have learned to use the audio editing software 'Audacity' and have created their own Vox Pop. Vox Pops are opinions on a topic recorded informally. Here is a Vox Pop by Amelie and Jake in Renoir Class (Yr5). The question is "What is your favourite film and why?" The children in Cezanne class have been learning how to make animations using a program called Pivot Animator. They have built up their animation by making very small adjustments between frames to simulate movement. The theme for the animation was 'The Daily Mile'. In July, Live Well, an NHS funded team came to visit the Year 4 class. They informed us about healthy diet and exercise and we discussed the importance of checking the amount of sugar in food and drink. The session finished with the children creating posters for their website. The top 3 have been published on the Mid Essex NHS website.